If you live in a zone that has warm to moderate temperatures and mild winters, you might consider growing an olive tree. Olive trees are resilient and known for thriving in poor soil and on rocky hillsides, but they cannot tolerate temperatures that dip below 25 degrees. That’s not to say that olives don’t like some cool weather now and then. In fact, they need temps around 40-45 degrees for a few days for proper flowering. This means that the zones in which olives are productive are limited because freezing temps are a problem as well as tropical zones that don’t get cool at all. They are evergreens with shallow roots, and they are very long lived. In fact, some olive trees are believed to live 1,000 years or more. Olive trees are known to thrive in soil with a varying pH of anywhere between 5.0 and 8.5, with 5.5 being considered ideal for most cultivars. As mentioned above, the soil need not be particularly good unless you are growing an olive tree in a container. Because of the limited space for the roots, a more fertile soil will ensure a healthy tree. Most olive trees are self-pollinating, but production can often improved when a pollinator is present. 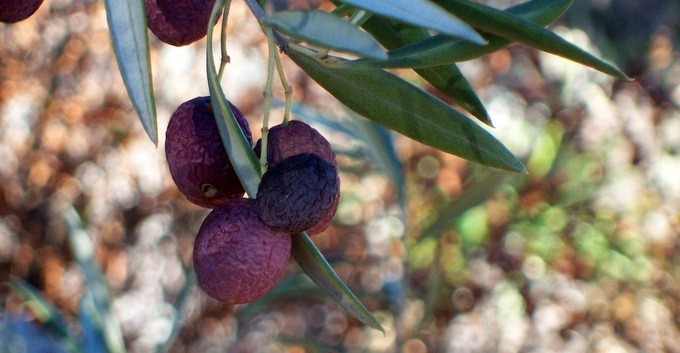 Fruit is produced on old growth, which means that in many cases olive trees will only produce well every other year, with branches adding additional growth in odd years. To further complicate things, olive trees prefer moderate temperatures and breezy but dry conditions, and they can’t properly set fruit during a particularly wet season. Proper drainage is critical as olive trees do not tolerate standing water at all. As with many fruiting trees, you should expect it to take several years before you begin to harvest olives from a new tree. Lucky me! I have a neighbor with an olive tree who doesn’t like olives, or at least doesn’t want to harvest them. The poor tree has been hacked and hewn (by a previous owner) and looks terrible, but it still produces thousands of olives. It may be as old as 80 years if it was planted when the house was new. Last year I missed the harvest, but this year I’m fermenting olives and possibly making olive oil. Next post: Help! Why Are There Mushrooms in my Garden?